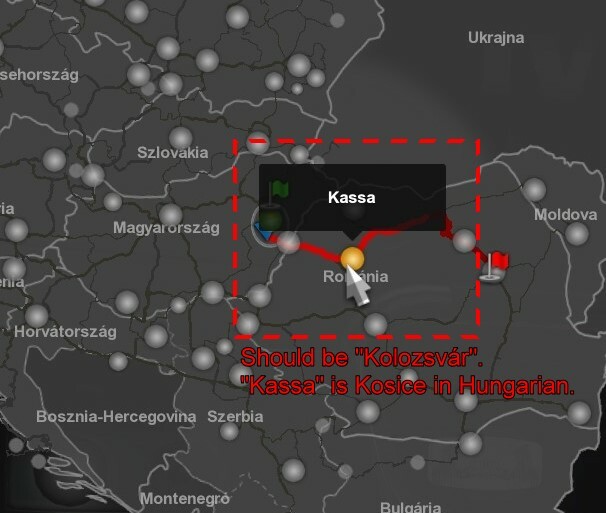 Just a tiny oversight: Cluj, Romania is currently translated in the Hungarian ProMods localization as "Kassa". This is actually the Hungarian name of Kosice, Slovakia. Cluj should be "Kolozsvár" instead in the Hungarian localization. Save for this, the Hungarian ProMods localization looks excellent so far. Thank you for the hard work on the localization compatibility update, and to whoever was working on the Hungarian localization in particular. Last edited by Trucker2223 on 17 Mar 2019 12:31, edited 2 times in total.